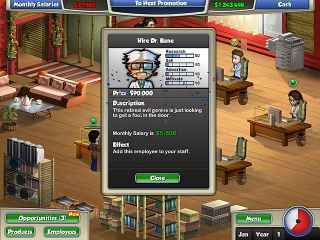 Free Download You're The Boss Game or Get Full Unlimited Game Version! Take the reins of a lowly warehouse office and work your way up the corporate ladder to fulfill a mysterious prophecy in You're The Boss. In order to get advantaged of playing You're The Boss full unlimiteg game version you must register the game. Comb graphically rich scenes for clues and save your boss from kidnappers in this hidden object thriller!